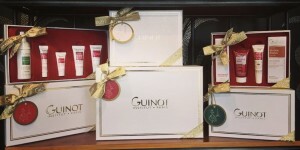 We have four new fragrances in our Spongelle range and our Guinot gift boxes have arrived! These make the perfect Christmas presents or a lovely treat for yourself. Winter is fast approaching and with the change of weather it’s the perfect time to try some of our treatments guaranteed to keep you warm this winter. The change of season is the perfect time to have a facial. Summer months are tough on our skin, with more sun exposure comes pigmentation, dehydration, ageing and congestion. 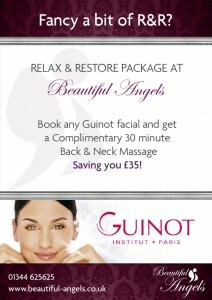 We offer an extensive range of Guinot facials to help with all of your major skin concerns and to aid your relaxation. 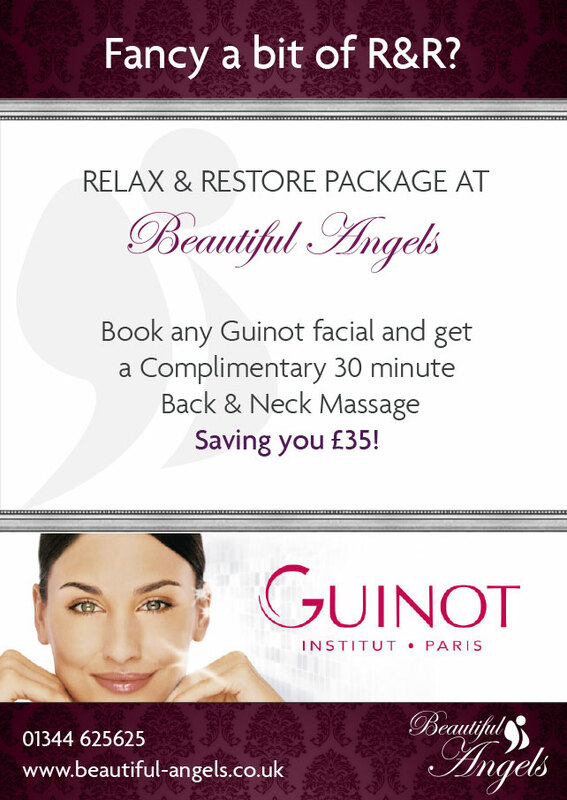 Why not snuggle into one of our heated beds and get your skin party season ready?! The winter months can be tough on our hands, the cold weather causes the skin on our hands to become dry, cracked and sore. It is a perfect time to try one of our Jessica Luxury Manicures, this is the ultimate treatment for your hands and to enhance your natural nail. Not only does it include exfoliation, massage and cuticle care but also a luxury hand treatment mask with thermal heated mitts for deeper penetration of the oils and creams. Your nails will be beautifully shaped and treated with a prescriptive base coat finishing with the perfect polish. The Jessica Luxury Manicure will leave your hands soft, nourished and glamorous for all your Christmas parties. We also use thermal heated booties in our Jessica Luxury pedicures not only aiding the deeper penetration of oils and creams but also excellent for increasing circulation and relieving stiff, painful joints. So banish cold feet this winter and book yours now. With Christmas just around the corner you may find yourself stressed and anxious worrying about the endless lists of tasks which need completing before then. ~Indian Head Massage is a deeply relaxing treatment concentrating on the upper parts of the body which are most vulnerable to stress and tension. This unique massage will help to balance and stimulate vital energy centres promoting a sense of well-being and positive energy, allowing you to manage any stresses and strains this Winter. Book one of our winter warmer treatments today and get some shelter from the wind, rain and cold whilst enjoying total relaxation. Don’t worry before you know it Spring will be upon us! Hot Stones Deep Tissue Sports Massage! With wind, rain and colder weather upon us there’s no better way to get rid of your aches and pains than with a deeply warming sports massage treatment with hot stones. If you haven’t tried a deep tissue massage with hot stones before then you’re in for a real treat! It’s the ultimate massage therapy for relieving tired muscles, aching joints, and releasing nagging knots and tension. Your treatment will be tailored to your specific needs and your muscle tension will be melted away by the warm stones as you are massaged with the right degree of temperature and pressure to suit you. Your first 1 hour session is only £45 (usually £60, saving you £15!). To book or find out more call 01344 625625. Age Logic CellulaireThis youth renewing skin cream provides the skin with 56 active ingredients essential to cell life, recreating the appearance of young skin. 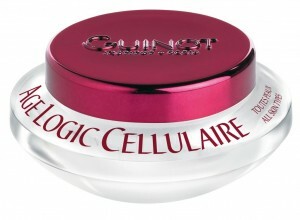 Age logic cellulaire works specifically on the renewal and longevity of the cells. - Cellular Life Complex – made up of 56 biological active ingredients essential to cellular life. This complex was developed in a hospital burns unit to aid the skins reconstruction. Achieving significant results in cell regeneration for visibly younger and firmer skin. 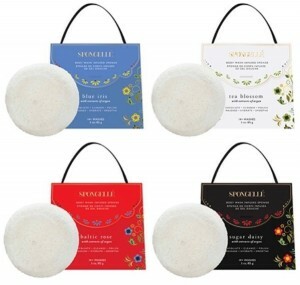 To be used morning and evening after cleansing.